Good evening sweeties! 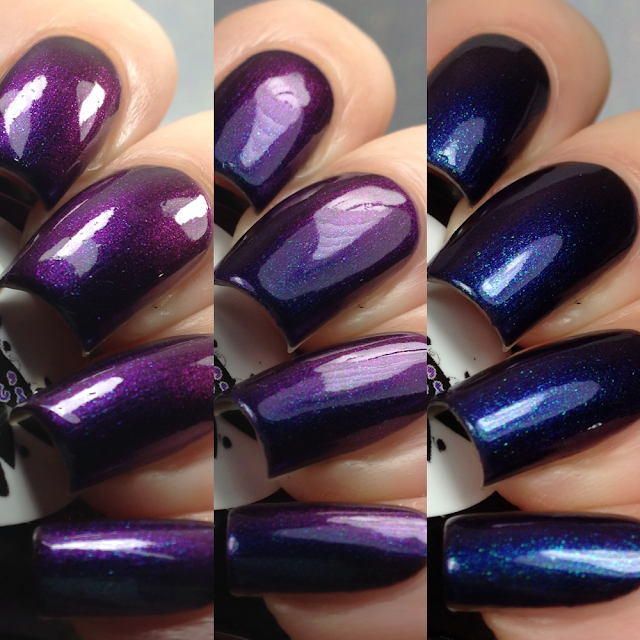 I have a gorgeous polish from Heather's Hues to share with you tonight! 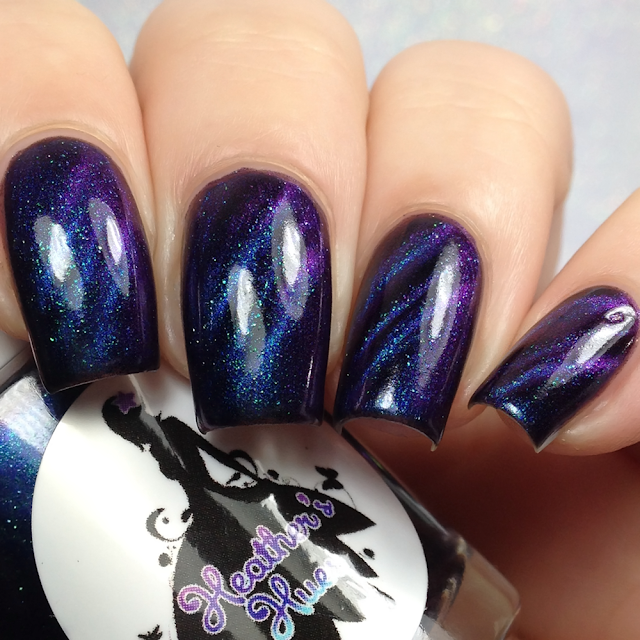 This is one of the April group customs for the Blurple~Winkle Polish Lovers Facebook group. In order to purchase this pretty you must be a member of the group so if you aren't yet you can join [here]. Read on for more info! Described as a deep blackened purple base with blue to blurple to violet multichrome magnetic pigment and violet-blue-teal magnetic flakes. 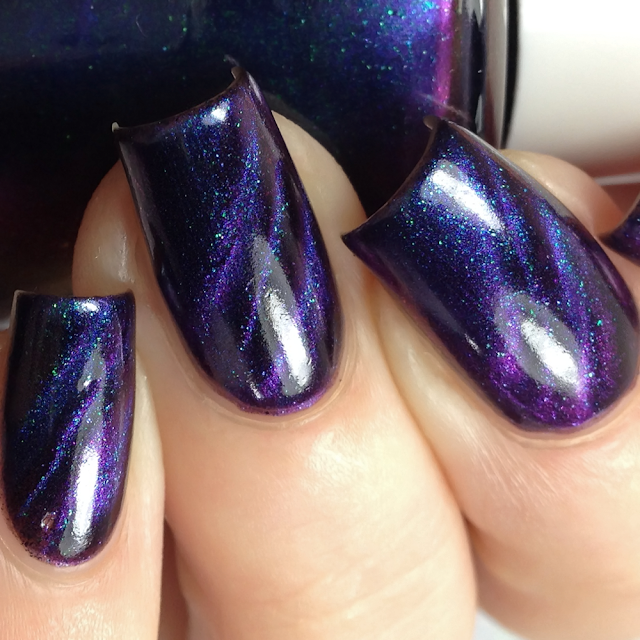 This polish is versatile and looks stunning magnetized and non-magnetized, with a shiny or a matte topcoat. *I used the wand magnet from Lantern and Wren. Shown below without being magnetized. Look at that shifty blurple goodness!